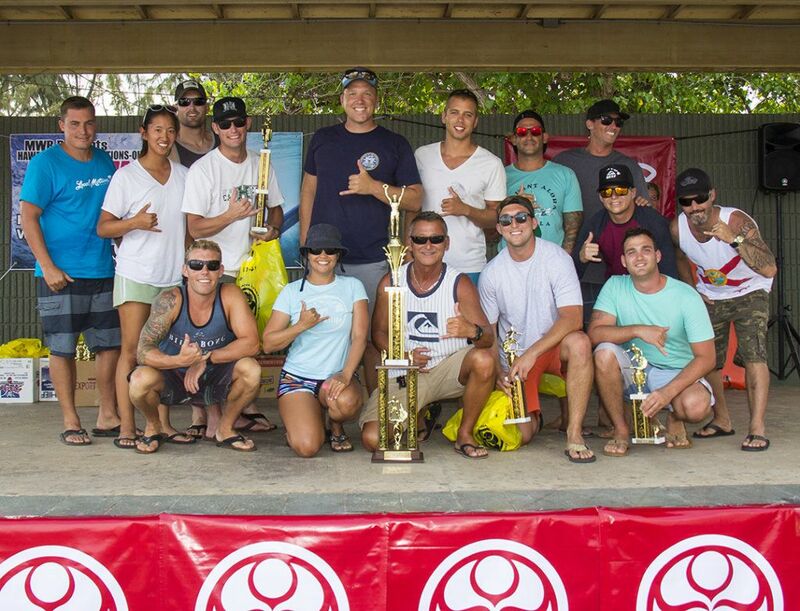 On Saturday, June 10th, Hawaii-based Military personnel of the U.S. Army, Navy, Air Force, Marines and Coast Guard will battle it out in the eleventh annual HIC/Quicksilver All-Military Surf Classic, Presented by MWR-Hawaii. 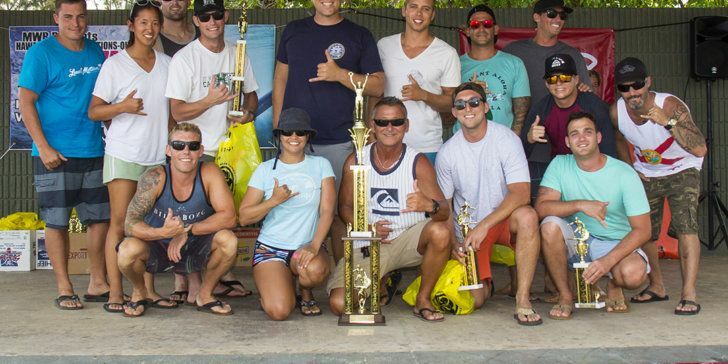 The event is limited to active-duty US Military and Department of Defense personnel, retirees and dependents, and includes divisions for both shortboard and longboard surfing. Starting at 8 am, the contest will run all day at White Plains Beach, on the former Barber’s Point Naval Air Base on Oahu’s south-west shore. Come down and cheer on your favorite service as they compete for the coveted “Top Branch” trophy, awarded to the team with the highest cumulative points. No doubt the 2016 winners, the U.S. Coast Guard, will be keen to defend their title against all challengers. 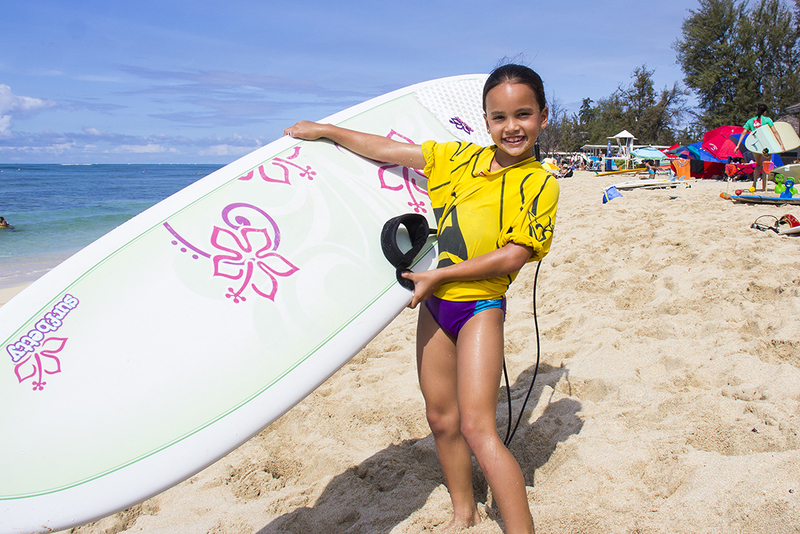 Photo: A competitor in the keiki division, all smiles before her heat at last years All Military Surf Classic. Since it’s beginnings in 1969, Quiksilver has combined function, fit, art and fashion to develop boardshorts and clothing for mountain and ocean lovers across the globe. While still sticking to the core roots of the mountain and the wave, Quiksilver has become recognized as the premium youth lifestyle and culture clothing brand within the action sports market. In addition to boardshorts, Quiksilver designs and produces an entire line of lifestyle apparel, wetsuits, and snow outerwear available across the globe. Our elite team of athletes have become icons throughout the world. Our mission is inspire the youth and progress as the world around us evolves. 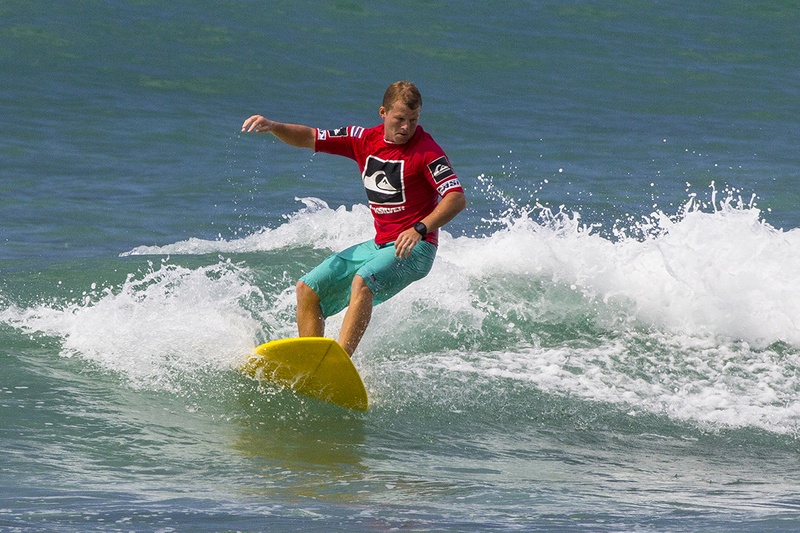 The All-Military Surf Classic is made possible through the support of MWR-Hawaii whose mission it is to improve the lives of US Military Personnel and their families. Hawaiian Island Creations and Quiksilver are honored to support the men and women of the US Armed Forces who proudly serve our country. Aloha & Enjoy the ride!